We are less than one week away from our 8th annual Red Hot White Party! This is a Deliver the Dream Signature Event and we couldn’t be more excited to introduce you to our bachelorettes! These lovely ladies will be crossing the auction block Thursday night at SWAY Nightclub to raise funds for Deliver the Dream families. It is through the generosity of guests attending our events that we are able to provide monthly retreats vital for families experiencing life-threatening disease, debilitating illness, and other family trauma to regain strength, mend spirits, and become families and kids once again. Get your tickets today! 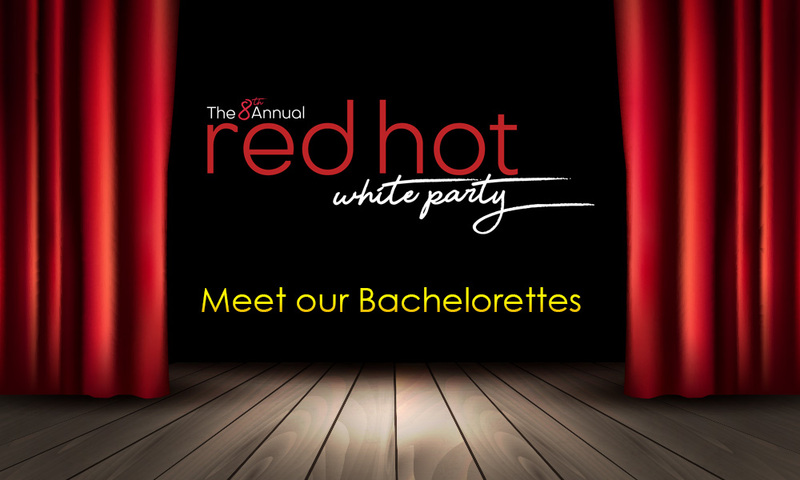 Join us, to bid on some amazing date packages and meet this elite group of women! Carla is a spunky Peruvian gal with a Whole Lotta Love to give, looking for her perfect match. She is searching for someone smart, kind, and funny to share her life with, however, she does have one major stipulation… you must love animals! Carla’s dream job would be running an animal shelter of her own, but in the meantime, she volunteers at the Broward County Animal Care and Adoption Center. She can’t live without her pets, beautiful beaches, and her family whom she loves to vacation with and visit back home. If Carla had to choose an actress to portray her in her life’s story, hands down it would be Sofia Vergara – “she’s the best!” On a typical Saturday, you can find her out and about in the city or relaxing on a white sand beach. 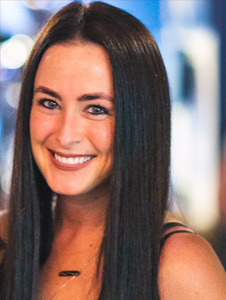 Danella is a gregarious and fun associate attorney at GrayRobinson P.A., who dreams of becoming a Rockstar. She can’t live her best life without music, hugs, or traveling the world, and is looking for someone who is talented, confident, and humble. 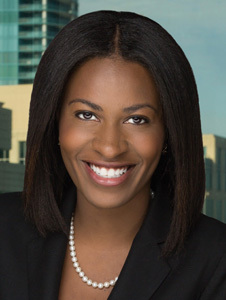 Currently, Danella is Vice Chair for the Central City Redevelopment Advisory Board and is part of Leadership Fort Lauderdale, and participates in a plethora of bar organizations. She is in constant self-improvement mode, and friends and family never miss out when she cooks a meal of collard greens with smoked turkey and cornbread. From an early age, Danella became an entrepreneur reselling penny candy she bought from Family Dollar to other kids at school. Her niece never forgets a midnight snack when they have girls’ sleepovers, and on a typical Saturday night, you can find Danella out on the dance floor or on a concert green living it up. Get ready for some fun in the sun with Fort Lauderdale Kitesurfing. Start your adventure by learning the basics before catching some major air with a certified trainer. After your adrenaline rush settles, relax at Massage Envy for a little pampering before you enjoy the rest of your evening at Prime 112 in Miami Beach. Hailed as the first modern steakhouse in the U.S., Prime 112 revolutionized the industry from the moment it opened in 2004. Located in the historic Browns Hotel, Prime 112 is an invasion of the senses and is one of the most sought-after reservations in town. Elizabeth cannot get through a day without coffee, wine, and her pets. She is a funny, passionate, and hardworking southern belle looking for a humorous, driven, and honest southern gentleman. Elizabeth loves to cook and considers pan-seared filet mignon with garlic and rosemary her specialty, however, she will never shy away from Nutella as a midnight snack. 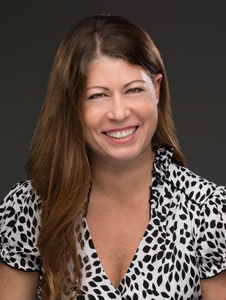 She loves to volunteer and stays involved with the Fort Lauderdale Chamber of Commerce, Broward Coalition, Chelsea Homeowners Association, and Well Armed Women of Broward. On a typical Saturday night, you will find Elizabeth enjoying the weather of South Florida by sitting on a patio, having dinner, and enjoying time with friends. Get ready to channel your inner lumberjack at Chops + Hops Axe Throwing Lodge. While South Florida may not be familiar with axe throwing, it is a centuries-old activity that has been modernized to make it fun for everyone! Enjoy the instruction, games, and rotating draft list of craft beer. The Axperts will start your throwing session by teaching you the basics and work with you to refine your form. Once you’re throwing like a real lumberjack, try your hand at a little competition. Since axe throwing is all about form over power, everyone will be throwing axes like a seasoned pro by the end of your throwing session. After working up an appetite, head on over to tap42 Craft Kitchen + Bar and appreciate a gastrogrub experience like no other, and don’t forget to enjoy a craft beer flight or handcrafted cocktail with your meal. Enjoy an all-inclusive Everglades Full Day Safari with Eco Safari through Everglades National Park. Your day will start with round-trip transportation from the greater Fort Lauderdale area to the Everglades, where a well-educated and highly-trained naturalist guide will be awaiting your arrival. Appreciate a walk under the canopy of towering bald cypress and relax during a scenic boat cruise into the Ten Thousand Islands mangrove forest in Everglades National Park. Experience a delicious lunch with alligator appetizers and wildlife drive through the pine savannas and cypress forests of Big Cypress National Preserve. No Safari would be complete without a spectacular airboat ride through sawgrass prairies and pond apple forests. Grab your swimsuit and try your hand at surfing or paddle boarding at scenic Deerfield Beach. This outing includes both a 2-hour surf or paddleboard rental and a 1-hour surf or paddleboard rental. Finally, get out to sea with a 4-hour Drift fishing trip with Fishing Headquarters Fort Lauderdale Beach. Board the Catch My Drift, a beautiful 85’ Gulfcraft party fishing boat that includes a fully air-conditioned enclosed cabin, 3 color fish finders/bottom sonar, live bait tank, a giant fish hold with plenty of ice, an upper sun deck and much, much more. This all-inclusive experience includes rods, bait, tackle, licenses… everything! No experience necessary! The crew is experienced and will be there to assist with everything! 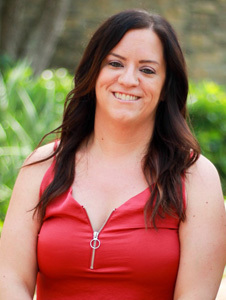 Melanie grew up in Fort Lauderdale, Florida and attended Emory University. She is on the Board of Directors for Operation Lift Hope, which focuses on getting homeless veterans and families off the streets. She is also a member of the Broward Sheriff Advisory Council and President of the Emory Alumni Fort Lauderdale/Boca Raton Chapter. Melanie can’t live her best life without her dog, family, and pasta. Yes, she can cook! Her favorite dish to make is Linguine Amatriciana and has even been known to eat it at midnight standing in her kitchen. Melanie is looking for someone who is confident, considerate, and has instant chemistry that matches her determination and loyalty. If for some reason you don’t see her out in the city on a Saturday night, Melanie can be found at home binge-watching a Friends marathon. Join Melanie for a once in a lifetime culinary experience. Your date package includes a personally curated private dinner menu at Wine Watch by owner Andy Lampasone. Dinner will be complemented with a 1989 Chateau Mouton Rothschild from Pauillac, Bordeaux, France. The luscious black currant flavored Cabernet fruit makes Mouton beguilingly easy to drink, not to mention that the weather conditions in 1989 were almost ideal to produce this exceptional wine. This Girl is on Fire! 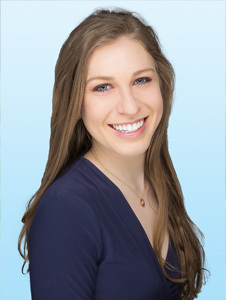 Stephanie is the proud owner of her own private practice and is compassionate, driven, and devoted. She can’t live without her family, friends, and the beach. Her first job was in an Italian bakery and dreams of getting paid to travel the world. She is looking for someone with a sense of humor, family oriented, and of course, outgoing. Stephanie’s favorite place to vacation is Mexico, and on a Saturday night, if she’s not out with friends… you can find her at home relaxing and watching a good movie. Take Me Out to the Ball Game! Stephanie’s date package includes an immersive experience with tickets for the Marlins vs Phillies game on Friday, August 23rd at 7:00 pm. Your premium seating will be located directly behind Home Plate at Field Level 6 in The Club: Dex Imaging. All-you-can-drink beer, wine, and soft drinks are included along with all-you-can-eat snacks and free admission to the Clevelander Marlins Park, an Art Deco-inspired venue offering a truly special gameday experience. Valet parking is also included in this once in a lifetime experience. At the end of the game, Stephanie isn’t going to let you go home without a souvenir, because you will also receive a Don Mattingly autographed baseball bat as a memento!